In this post we go thru some dealer visitor statistics from real dealer. 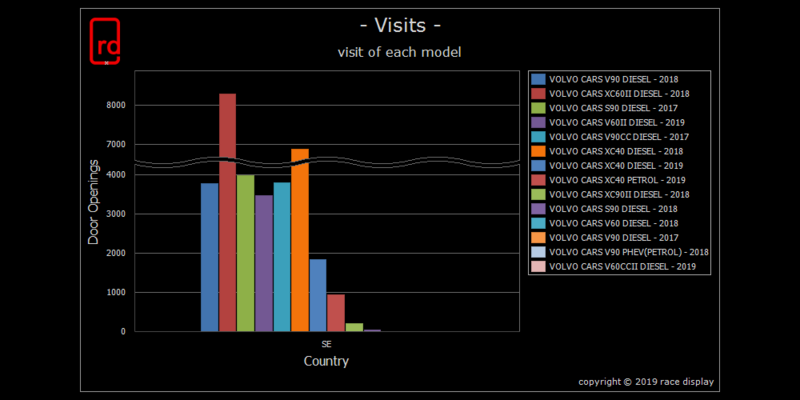 The image above shows how many visitors that have entered different models for the selected country, in this case Sweden. We can clearly see that the new XC60 -18 was a winner followed by the XC40 -18. Both these cars are SUV types and our analyze is that these model are very popular by families with kids. That’s why they are more visited then the sedans and station wagon models. It will be interesting to see it the all new Volvo V60CC will be a competitor for these models in terms of number of visitors. If we look at the Volvo V90 -18 in this chart it draws our attention that its visitor rate is pretty low compared to the XC60 -18. The second image shows a chart how visitors are moving around the vehicle. In this chart we can see that the Volvo XC40 -18 is the model which have the most interest of the trunk. This is probably due that the Volvo XC40 -18 is the smallest SUV in the XC family and visitors like to see if this model has enough trunk capacity as a daily driver car. One way of convincing the visitors about the trunk space is to have a Volvo XC40 on display that the trunk has been loaded with family items like stroller, shopping bags etc. The last chart shows for how long the visitors stay in the vehicle. 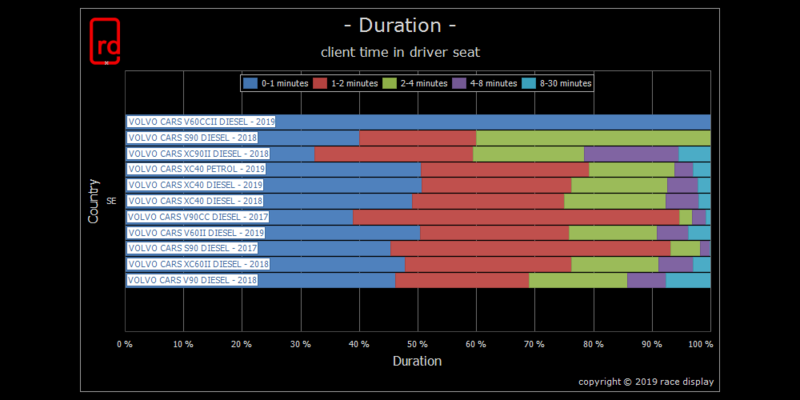 In this chart we can see that most visitors are not sitting more than one minute in the driver seat in order to feel the car from inside. The vehicle model that have most visitors sitting between one to two minutes is the Volvo V90CC -17. A short sit duration could mean that the visitor is not relay interested in the specific model, it’s a more peak visit to see what it’s all about. But the number of minutes a visitor stay in the driver seat must be corelated to number of sales of the specific model in order to tell if a short sit duration is a positive or negative sales aspect. The StyleLight visitor statistics data is available at our customer portal. 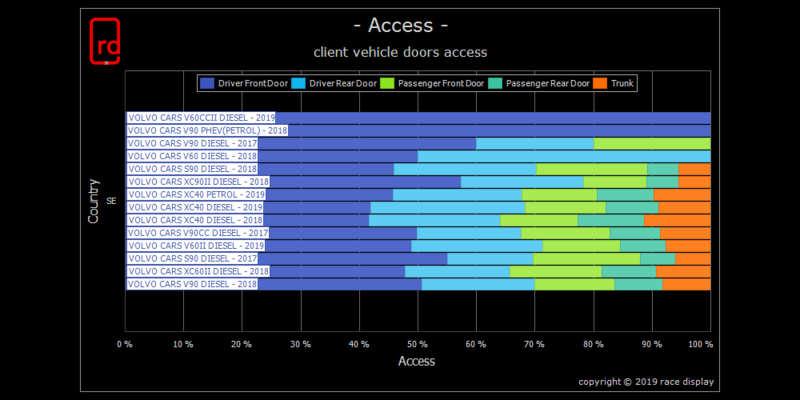 This portal gives a statics overview of dealer visitors for different models and counties. See StyleLight 2 for more information.